Celebrating the life of Tony Fernandes Luis, Sr.
Be the first to share your favorite memory, photo or story of Tony. This memorial page is dedicated for family, friends and future generations to celebrate the life of their loved one. Obituary for Tony Fernandes Luis, Sr. Surrounded by family, Tony “Sparky” “Ben” Fernandes Luis passed away on November 24, 2018, in Crescent City, California. He was 89. He was born May 2, 1929, in Cranell, California, the youngest of six children born to Joseph and Candida Luis, who emigrated from Madeira Island, Portugal. Lovingly called “Ben” by his siblings, he grew up in Eureka, California, and was involved in both band and choir. He graduated from Eureka High School in 1949. “Sparky” became a truck driver and was working in Klamath, California, when he met the love of his life, Connie Rook, while he was getting lunch in a café. They were married July 9, 1950. Together Tony and Connie started a family. In 1973, he and Connie opened “The Bee-Hive Café,” which they ran together for five years. He was drafted into the United States Army where he served as the head cook in a Mobile Army Surgical Hospital (MASH) in Japan during the Korean War. Upon his return, he went to work in the local mills as a heavy equipment operator. He worked for 35 years until his retirement in 1991. In the late 1980s, he moved to Crescent City, where he became an avid Del Norte Warriors sports fan. In 2014, he was named “Warrior Super Fan,” a title he truly cherished. Tony also hosted the weekly JV Football Team Dinner at his home, a tradition that began while his son, Stephen was the head coach and continued for many years after his sons passing. For the last 30 years, he volunteered with Future Farmers of America (FFA) for its annual deep-pit BBQ at the Del Norte County Fair, including this year. Tony was an avid canner, making jams of all sorts, applesauce and smoked fish. He lovingly passed his knowledge on to his children and grandchildren. He was preceded in death by his beloved wife Constance; a son, Stephen; parents Joseph and Candida; siblings Mary Furtado, Lillian Carlson, Joseph Fernandes Luis, Sarah Wahlund and Caddy Luis. Nothing was more important to Tony than his family, and the time he spent with them. 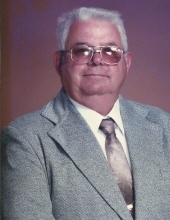 He is survived by his son, Tony Jr., and wife Sharon; his daughter Jodye, and partner Jackie; daughter-in-law Cherie Luis; grandchildren Kathleen and David Phelps; Nichole Boone; Trisha O’Haire; Traci Rosado and Pete Kamages; Samantha and Bradd Beckett; Aimaleigh and Russell Brock; Davey Kettlewell; Kristina and Jordan Grimes; Jamie Frye; Joseph and Haley Luis; Holli Frye; Jayla Adams; and Andrew Whaley; great-grandchildren Gage Trask; Mathew, Zoe and Alyn Brock; Siena and Azura Beckett; caretaker Gary Serrato and numerous nieces and nephews. A celebration of Sparky’s life will follow the interment at St. Joseph’s Knight’s Hall at approximately 12:30 p.m.
To plant a tree in memory of Tony Fernandes Luis, Sr., please visit our Tribute Store. "Email Address" would like to share the life celebration of Tony Fernandes Luis, Sr.. Click on the "link" to go to share a favorite memory or leave a condolence message for the family.